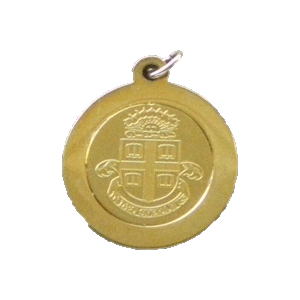 Anulas Fashion Dogtag & Pendant is made from Anulas' lifetime-warranteed Triplatium(R), which is durable and hypo-allergenic, and won't tarnish like other metals. Pendant has etched design with 'BROWN' above and 'UNIVERSITY' below Seal. Size: 1 3/8"H x 1"W, comes with 16" and 27" dogtag chains. Please select option for Anulas Fashion Dogtag & Pendant. 36mm Stainless Steel Case, White Matte dial with Ivy B logo and stainless steel herringbone mesh strap. 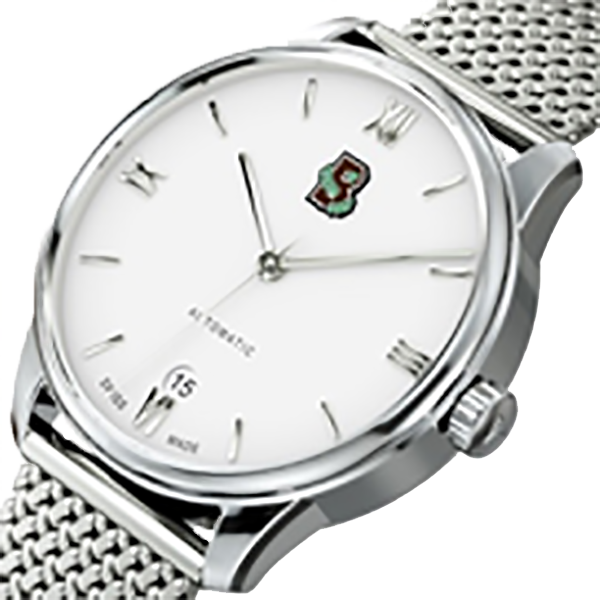 Sellita SW200, 3-hand movement with date window at 6 o’clock. 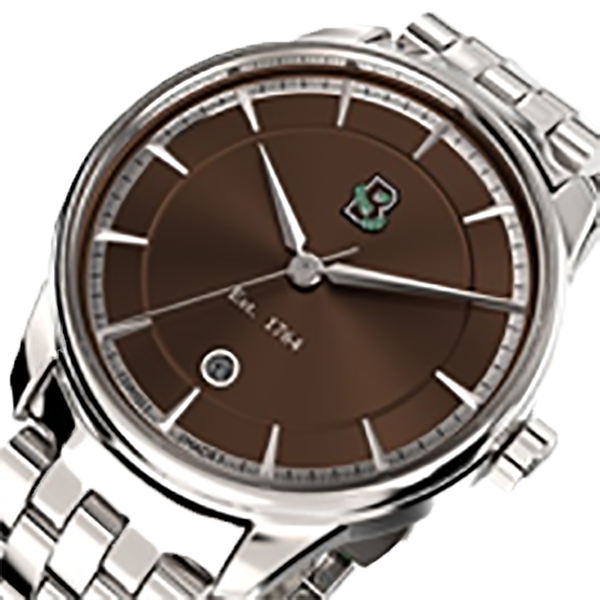 40mm Stainless Steel Case, Brown Sunray dial with Ivy B logo and Breitling style stainless steel strap. 40mm Stainless Steel Case, Silver Sunray dial with Ivy B logo and calfskin brown leather strap. 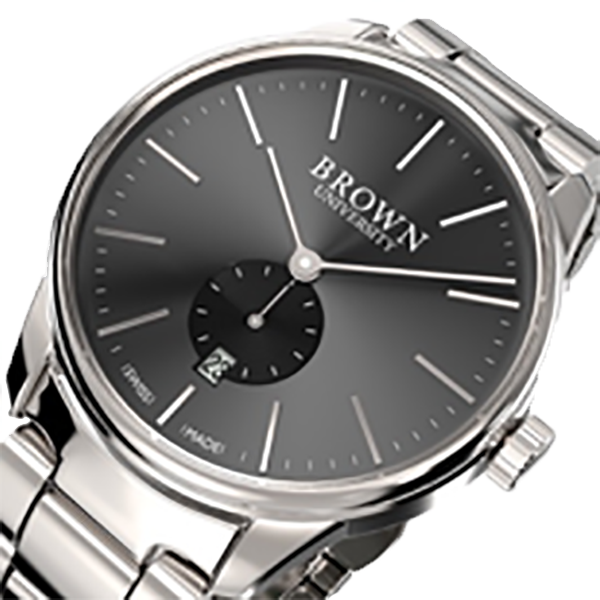 40mm Stainless Steel Case, Silver Sunray dial with University Crest logo and calfskin black leather strap. 43.5mm Brushed Stainless Steel Case, White Matte dial with Ivy B logo and unidirectional black ceramic bezel and Super Luminova indices and hands. 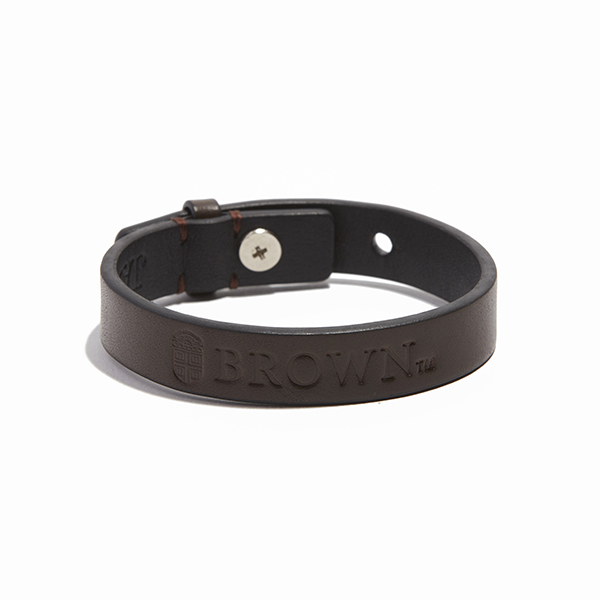 Stainless Steel Bracelet and water resistance to 200 meters. 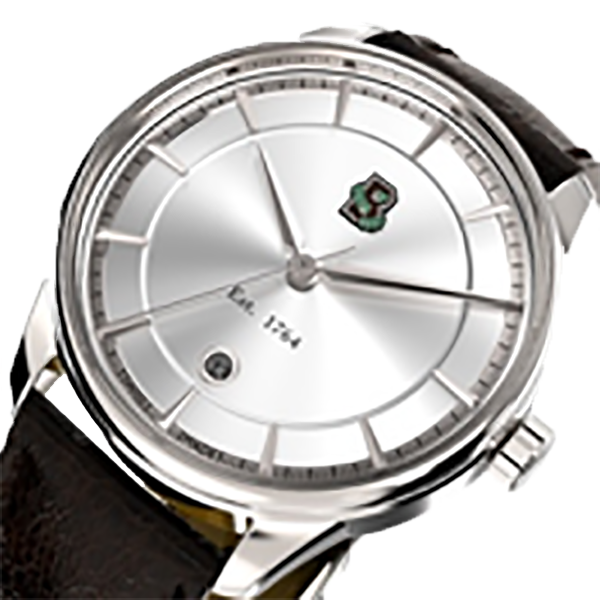 Sellita SW400, 3-hand movement with date window at 3 o’clock. 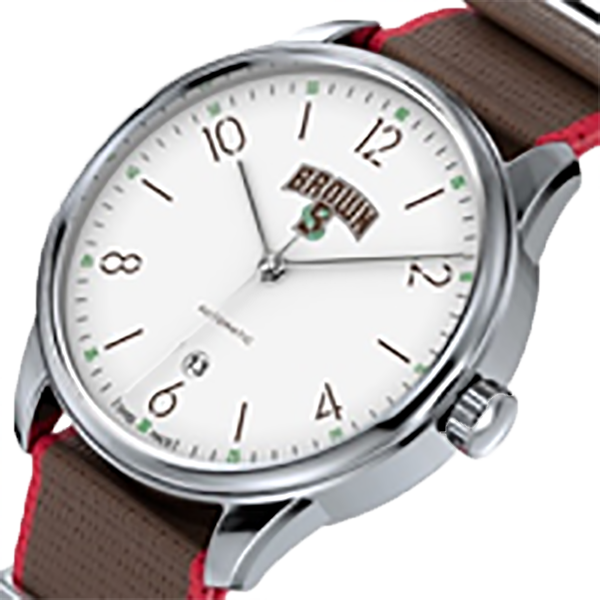 40mm Stainless Steel Case, White Dial with Arched Brown logo and Brown and Red NATO strap. 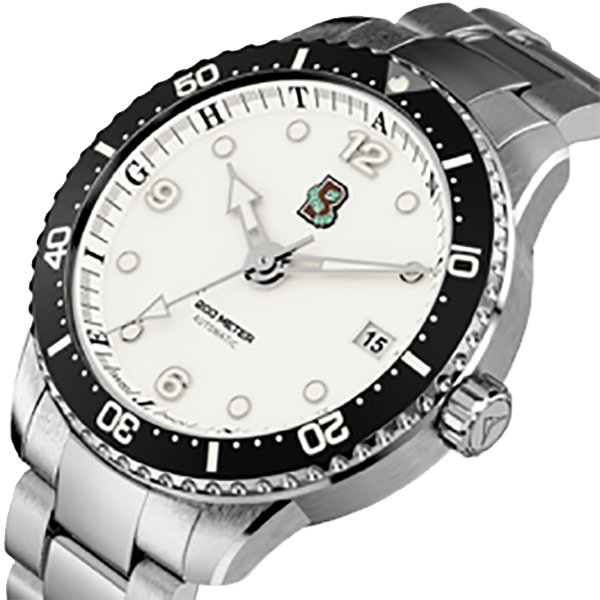 40mm Stainless Steel Case, Black Sunray with white Brown University wordmark and Submariner style stainless steel strap. 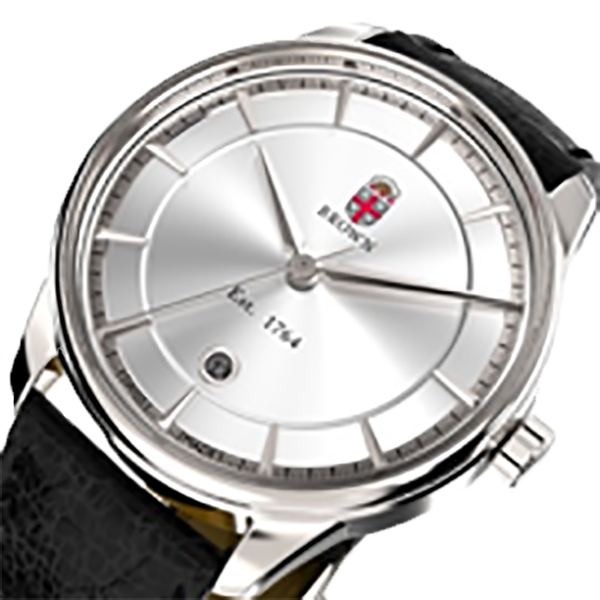 Sellita SW360, 2-hand movement small second complication and date window at 6 o’clock. 40mm Stainless Steel Case, Silver Sunray with a brown Brown University wordmark and black cordovan leather strap. 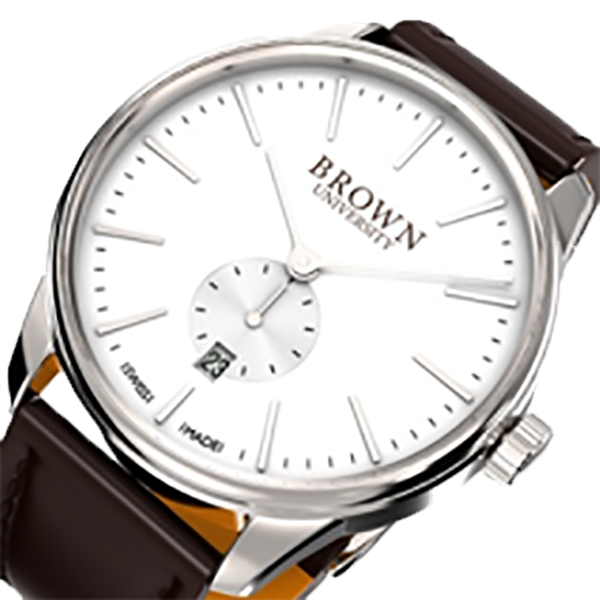 40mm Stainless Steel Case, White Matte Dial with a brown Brown University wordmark and brown cordovan leather strap. 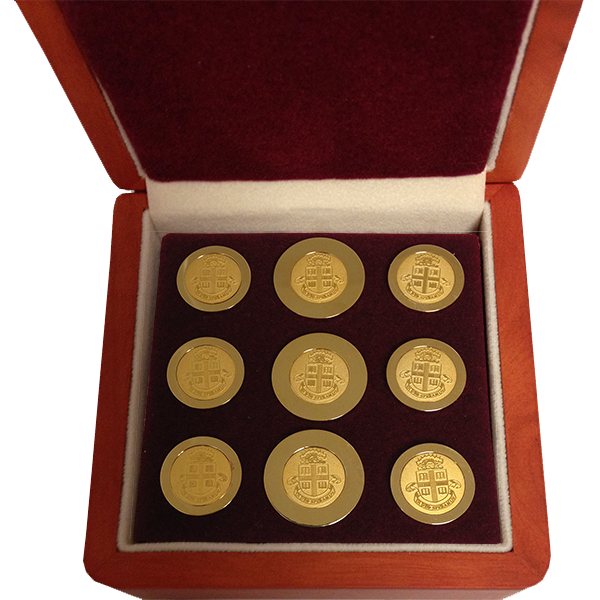 Sizes: 3 7/8" and 6 3/4" blazer buttons in wood display case. 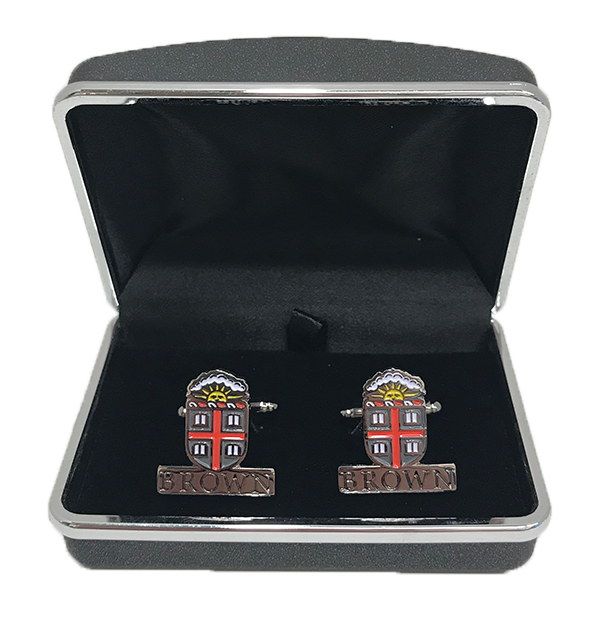 Set of brass cufflinks featuring Brown Crest in cardinal, gold, white, grey, and brown coloring. 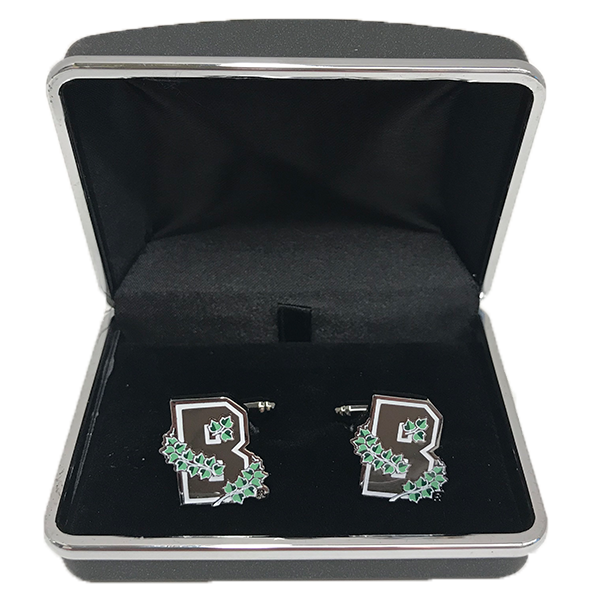 Set of brass cufflinks with Ivy B logo in brown, green, and white. 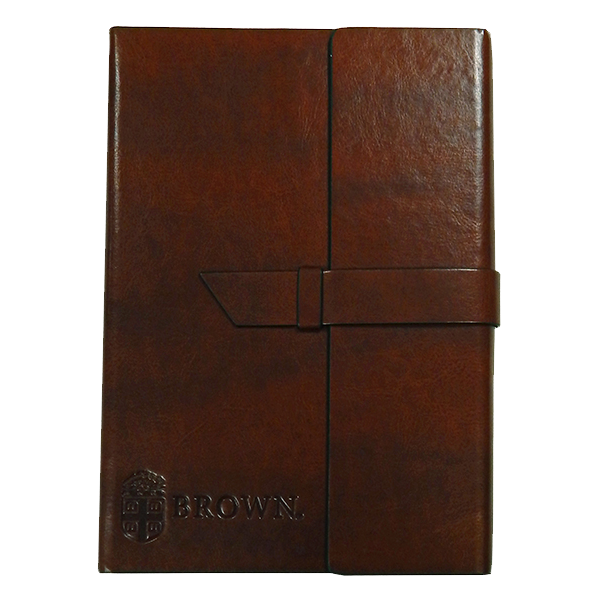 A deep brown leather cardholder with a large embossed Brown crest logo emblazoned on the front. Count on it only looking and feeling better the more you use it. 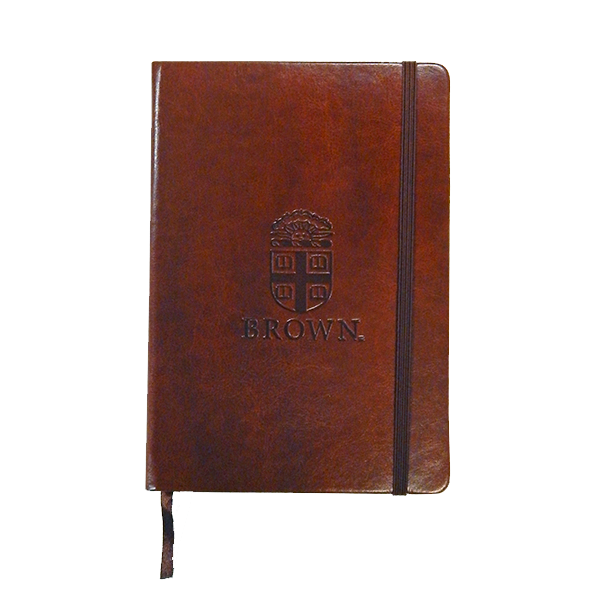 Genuine leather and fully lined with three card slots and a central compartment. 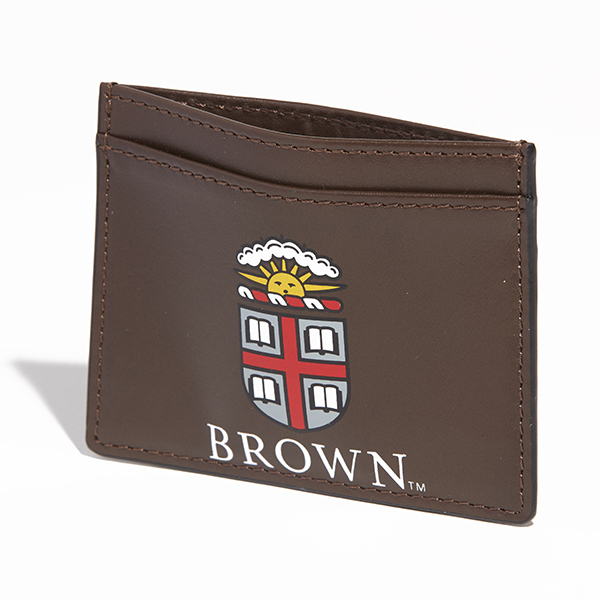 A bold silkscreened cardholder featuring the classic Brown University crest. This genuine leather wallet is slim and compact enough to slip in your pocket and roomy enough to hold your cash and cards. Genuine leather and fully lined. 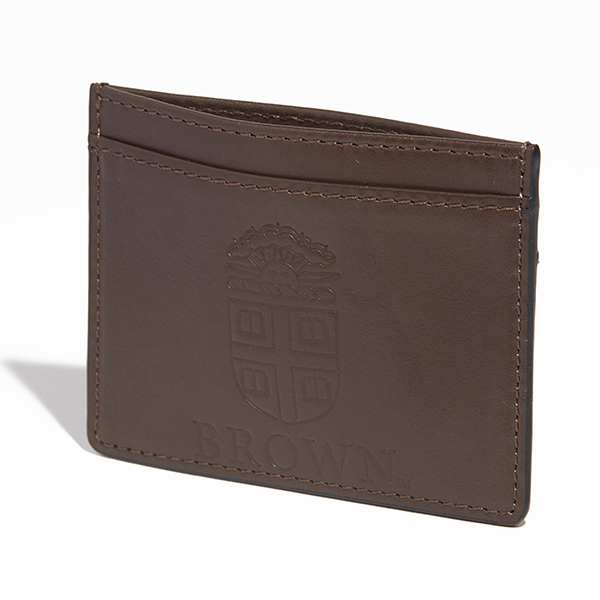 A streamlined cardholder featuring a silkscreened "Ivy B" logo. 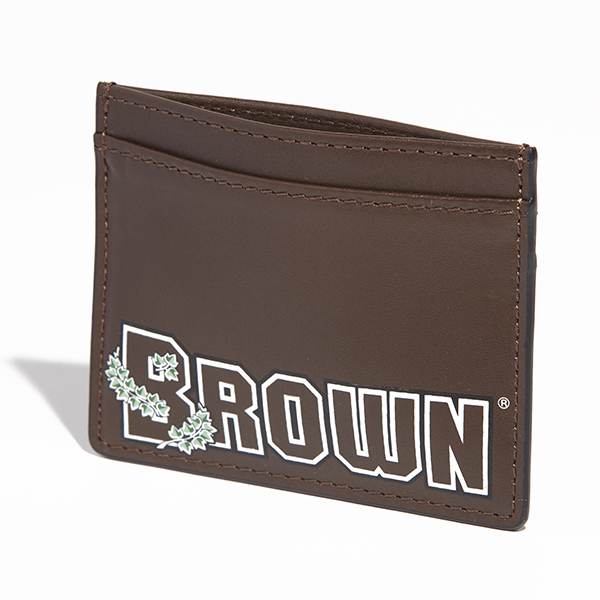 This wallet has enough slots to fit your most used cards and a center compartment for storing your cash. 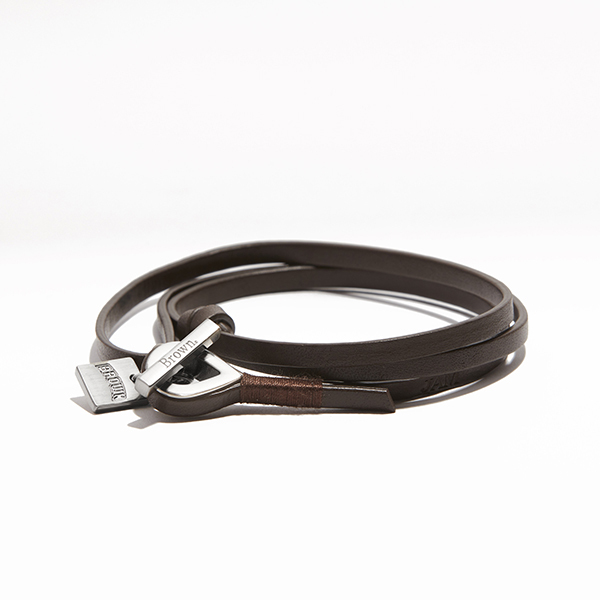 Genuine full grain leather and fully lined.